It can’t be all diabetes all the time. A unique thing happened last week. For the first time all year, I took an extra day off of work for something that didn’t involve diabetes advocacy, service to the community, or going to a conference. So we literally took off… we left to spend the weekend in nearby Virginia. We visited some of our favorite wineries. 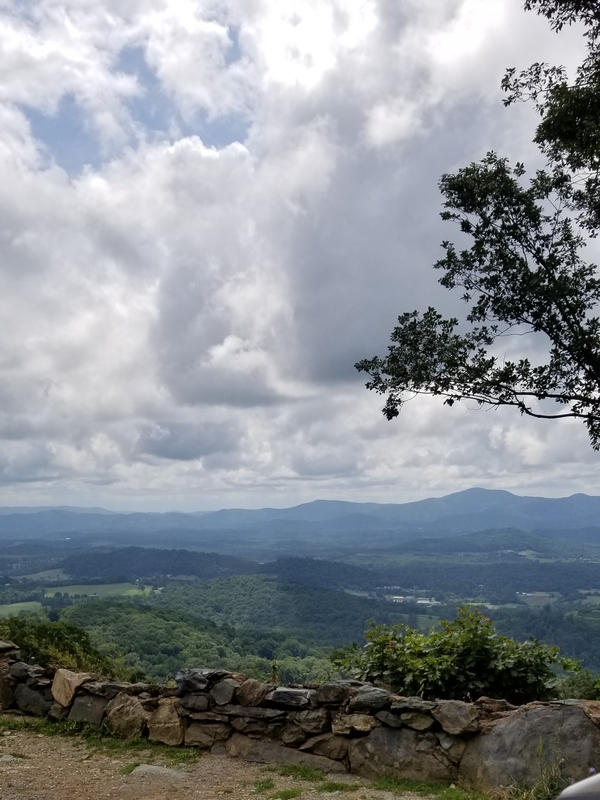 We enjoyed the majestic scenery of the Shenandoah mountains and the surrounding valleys. Most of all, we relaxed and let the other side of our brains take over for a while. I’ve been involved in so much this past year, more than I ever thought I’d be involved in when I found this community about seven years ago. But it can’t be all diabetes all the time. I was so grateful for the chance to (mostly) unplug and recharge. And since this is a personal blog (and sometimes I forget that), I thought I’d post a few photos from the weekend, in the hope that you will find it relaxing too. Enjoy the rest of your week. One heck of a vacation. Now, let’s see… where was I? 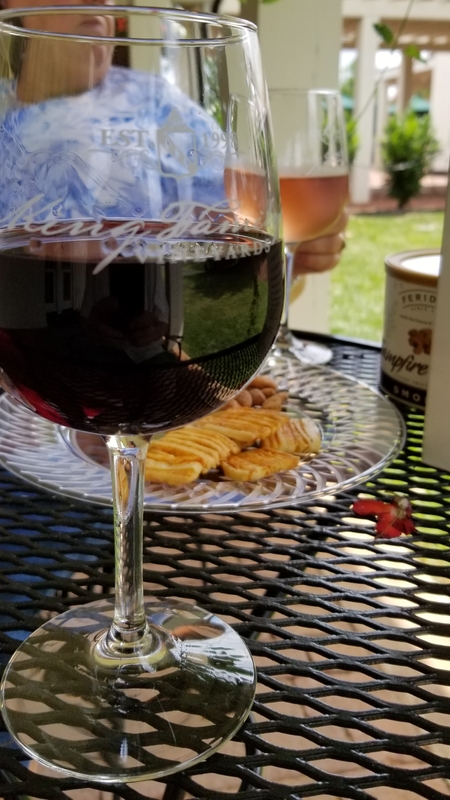 That’s right… I was supposed to go on vacation, a total of ten days off of work, and a chance to spend time away with The Great Spousal Unit for the first time since last November. Wednesday, I felt a little discomfort in my midsection. By Thursday night, it had intensified, and I decided that if I felt the same way Friday morning (my first day of vacation), I would try to get in to see the doctor. As luck would have it, my doctor was out sick Friday, so I went to a doc-in-the-box. They were swamped with patients, so I decided to go to the emergency room. I was convinced that because the pain I felt included significant pain in my lower back, it was a kidney infection. So I spent some time being checked out in the ER, including a contrast test (too long to explain), after which, to my great surprise, I was told that I had acute appendicitis and I needed surgery right away. Maureen hadn’t even finished work yet. She did make it though, about half an hour later, and boy, was I messed up. In fact, the surgeon told me at my post-op follow-up visit that the appendix was in bad shape, distended, and the moment he went to grab it, it burst. It’s a small organ, but what was inside, all of the bacteria, spilled into my gut, and there was really no way at that point to get it back. Sorry to be so gross. I’m writing this in part so I don’t have to remember it later. And the worst part didn’t even happen yet. One of the anaesthesia drugs I was given is supposed to relax my muscles. Instead, my muscles tensed up, and my body temperature went through the roof. The surgical team had trouble waking me. It turns out I experienced something that only one out of every 20,000 patients experience. Officially, it’s called Malignant Hyperthermia. It’s caused by an allergy to a drug that was in my anaesthesia cocktail. We’re not sure which drug yet, but I hope to be tested soon, in part because it’s hereditary, so the fact that I have this problem indicates that my siblings and one or both of my parents might also. I’m convinced that the hospital’s Chief Anaesthesiologist saved my life. The surgeon told me he was astonished that as soon as she went to work, my temperature went from 39.9 Celsius (103.82 Fahrenheit) to 39.2 (102.56) to something around 37.2 (99). I sure am glad she wasn’t on vacation. To put it mildly, I had been through an ordeal already. I awoke to an operating room in mild chaos. It seemed everyone, about a dozen people, were all talking. There were five people surrounding me, and three of them were asking questions, all at the same time. I was still intubated, and they weren’t asking Yes or No questions. I didn’t know I was intubated at first… it just felt like I had something stuck in my throat (which I did). I coughed hard, and it came partially out, and then I reached up and pulled it out the rest of the way. Those things come out pretty easily, it turns out. But I still freaked out those asking the questions. I reached out and grabbed one of the doctors, who, it turns out, is a great guy, and said “Stop calling me Boss, goddamn it!”. I guess that’s the funniest part of the story. Then, a night in the Intensive Care Unit. Then, two more nights of hell where I couldn’t keep food down, and ate nearly nothing. By Monday morning, I was wondering what it would take to feel better, because every day since Friday had seemed to be worse than the day before. But Monday came, and I felt much better, and I was able to stand up for more than a few seconds at a time. I got a chance to walk a little. Was I getting better? Tuesday lunch, they finally switched me off of the dreaded clear liquid diet (think broth and jello for every meal), and I ate solid food for the first time in four days. By late Wednesday afternoon, I was finally released from the hospital. I’m sure I left out a lot of the story, but that’s most of it anyway. Now, a few random thoughts now that I’m about ten days after surgery. – Diabetes… that’s right, this is a diabetes blog! I managed as best I could. I talked it over with the attending physician the day after surgery. I was adamant about keeping my pump on, and managing diabetes myself. He suggested that I run a little high until I could get my diet and movement more normal, so we could avoid any late-night lows when my energy level was already low to begin with. I thought that was a good idea, and that’s what I did. – The hospital used a non-reusable lancet when performing glucose checks. I would have preferred to just use my own meter and lancets, but the first few days, there’s no way I could have handled that. I was too weak. I know they’re supposed to use non-reusable lancets, but it’s nice to know they’re doing it. – My appetite hasn’t completely returned, but I’m not nearly as active, so I’m okay with that. I’m basically eating about half of what I normally do. Don’t expect to see me and see a significant reduction in weight, though I really wish that would be the case. – The surgeon is telling me to take one more week off of work. In addition, I can’t lift anything over ten pounds for four weeks. So much for autumn yard work. – Some things taste different. It’s really strange. For instance, coffee doesn’t taste anything nearly like what it tasted like before the surgery. I don’t think this is necessarily bad. Mostly, I’m curious to know what causes this. I think it’s interesting. – I received exceptional care from the nursing staff at the hospital. I was cared for by white, African-American, Hispanic, and middle eastern Muslim nurses and technicians, and they were all great. Spectacular, even. I will be forever grateful. One final thing: I’ve read about many experiences like mine over the years, where people are brought back from the brink of death, and they are convinced that now their lives are destined for some “higher purpose”. The first part of that is true… I could have died on the table in the operating room. But I already believe I had a purpose before this episode. I still have a purpose, and that’s great. I want to be the best person, the most helpful person I can be. I want to do the most I can for those living with and affected by diabetes. That was true yesterday, it’s true today, and it will be true tomorrow. Why do we need a near-catastrophe to convince us that we are here for a higher purpose? Our purpose is before us already. Seek it. Live your purpose. I have a non diabetes-related post today. 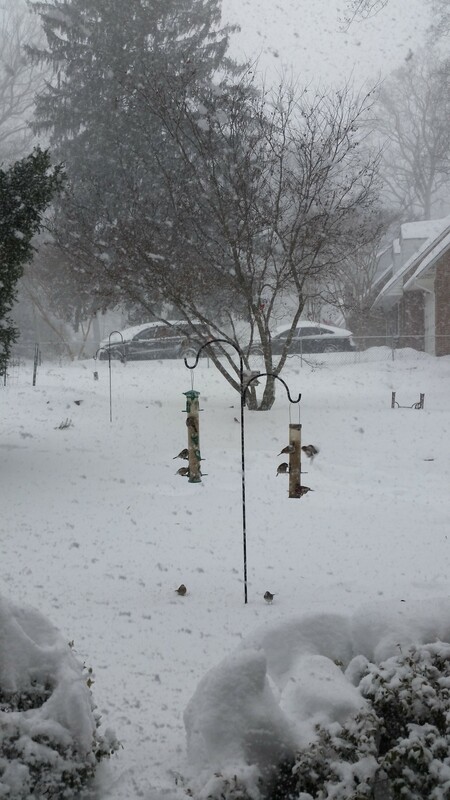 A few photos of the winter storm that hit the Mid-Atlantic and Northeast parts of the USA over the weekend. We get storms like this every few years in my part of the world; some years, like last year, we get almost no snow at all. Then we’ll all of a sudden get a monster storm that dumps a couple of feet on us all at once. 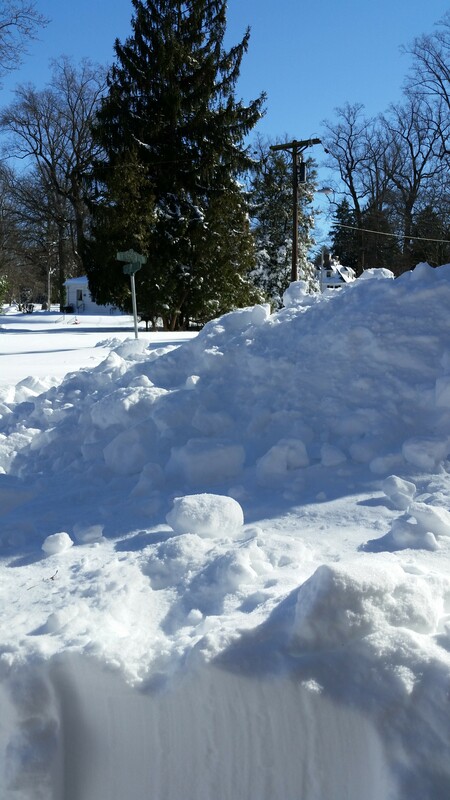 In this case, the official number was 29.8 inches of snow, in about 28 hours. 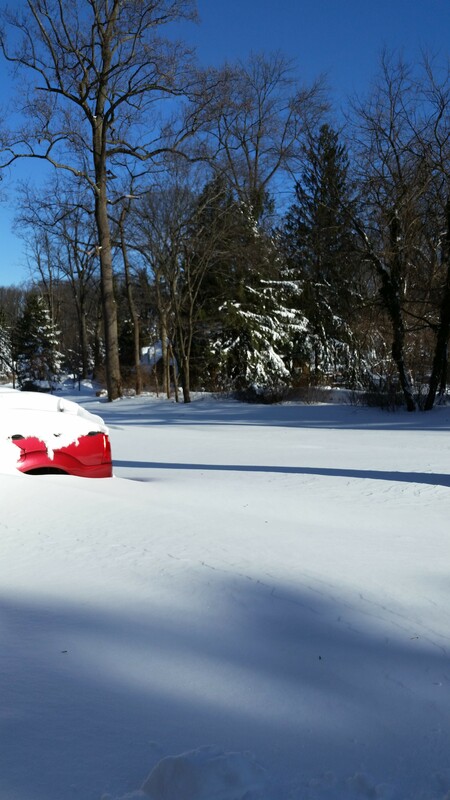 This storm was also accompanied by tropical storm force winds that caused some major drifts, like around my truck. 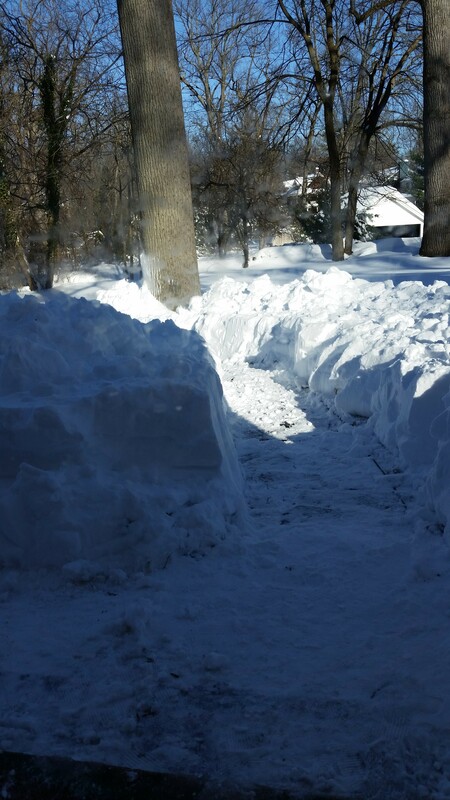 After I dug everything out, I had to pull my truck back in the driveway so I could shovel away all the snow that was blown under the chassis. My glucose did not suffer from the storm… on Saturday, while it was all coming down, I went upstairs and put in a hard 50 minutes on my spin bike. 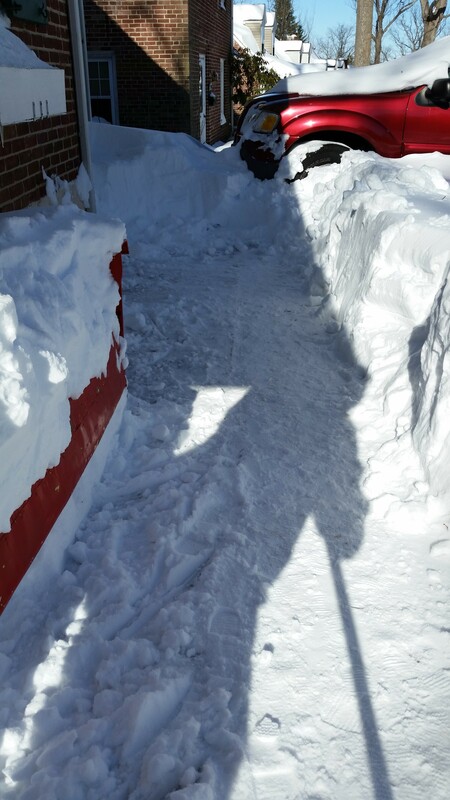 On Sunday, I was out for literally hours shoveling things away from the driveway and the walk. 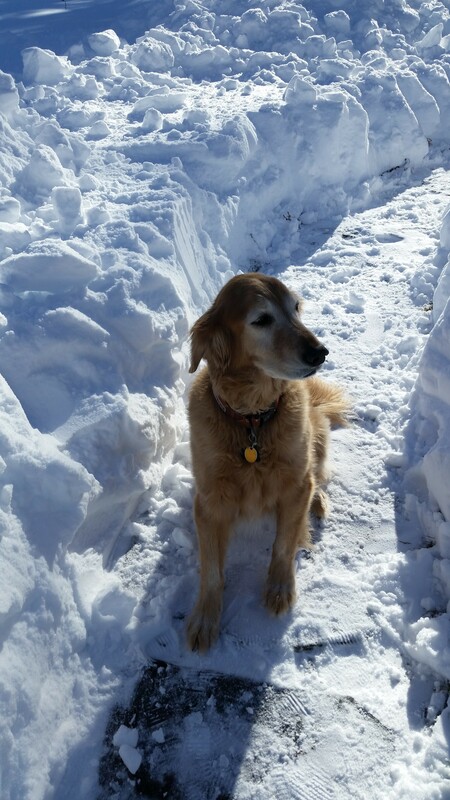 We’re told we might get a snow plow down our street on Tuesday. Almost 72 hours after the storm is finished. Lots of roadways to plow, and lots of tired plow drivers out there. But cabin fever hasn’t sunk me yet. I still have coffee and enough food to get me by, and I’m lucky to have power, so I won’t freeze. Yes, I’m a lot luckier than some others out there right now. 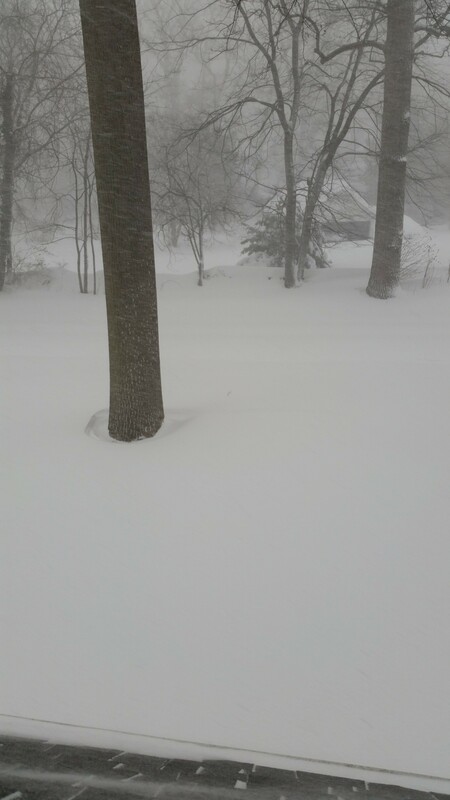 So here, kind of randomly, are some photos from the storm and the shoveling. Wherever you are, I hope you’re warm and comfortable today. To say I’ve been insanely busy these last few months is quite an understatement. Right now, it’s work… all day meetings, but don’t forget to get the rest of the work done, rinse, repeat. I’m not really complaining. Every so often in a job like mine, you have a year when a lot of things happen, and you’re depended on to give the extra measure of devotion for the good of the team. This is one of those years. It happens. 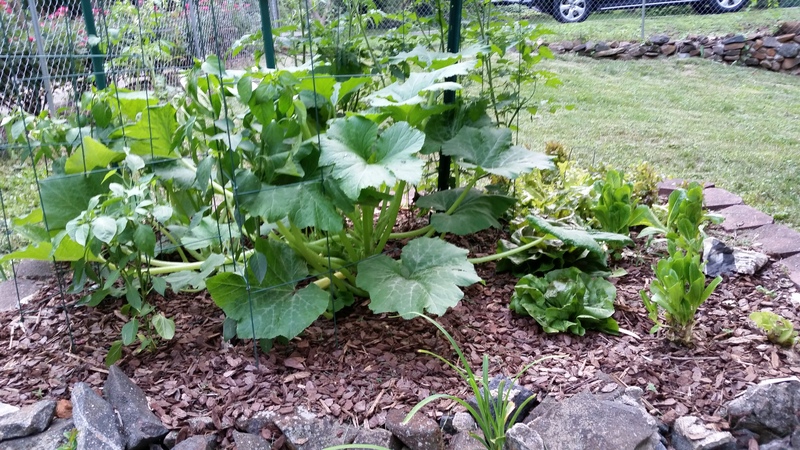 The big thing you notice here is the yellow squash plant, which I should never have planted there. They get pretty big after a while (like “Feed me, Seymour” big), and if they can, they’ll steal sunlight from any other plants in the area, like my tomatoes and my peppers. So I have to trim off a leaf or two now and then to make some space. 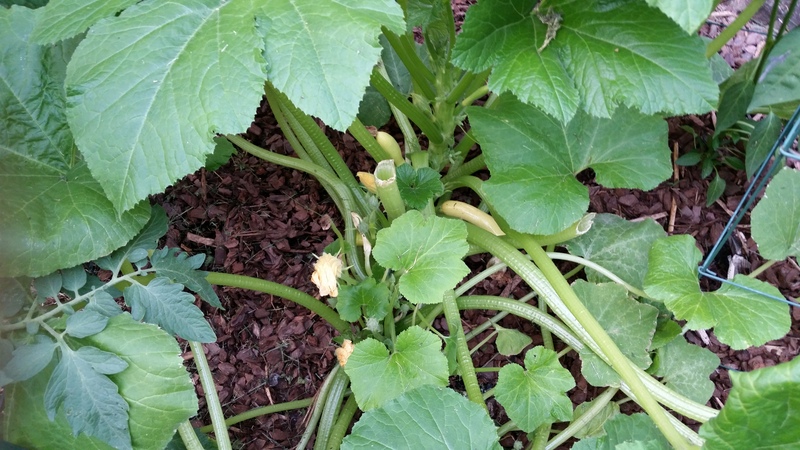 The bad news is that there seems to be evidence of some creature (squirrels, probably) eating the flowers (which come just before the squash), which is what helped me maintain a healthy plant that bore absolutely no squash last year. The good news is that I have a couple of squash that have survived anyway. 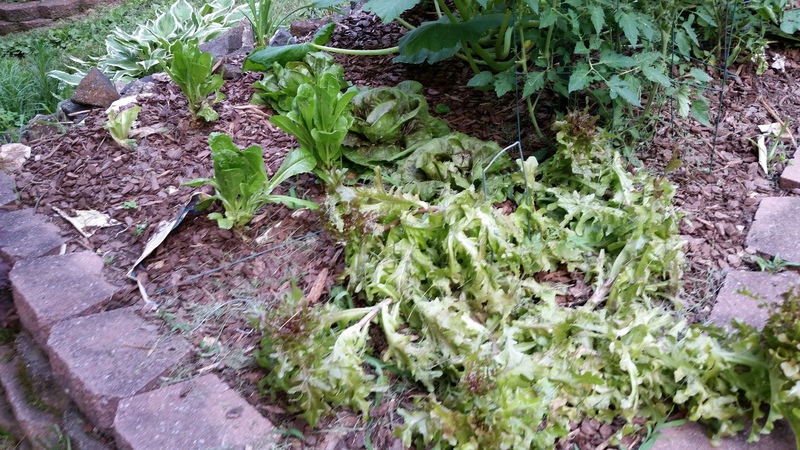 But, more bad news: In Monday night’s thunderstorm for the ages, my red leaf lettuce plants got pelted and fell over. This looks like the beginning of the end for these guys, which is sad because I’ve been eating salads nearly every day for over a month. I mean, these guys were the gift that keeps on giving. We’ve already eaten the romaine… there are just a few secondary shoots that have grown back, and they’ll make good salad. In addition to that, most of the radicchio (to the right of the romaine) has done very well. Other than that, it looks like my pepper plants are surviving and thriving, and two of my three tomato plants are going gangbusters. I don’t know what happened to the third one, but it just stopped growing up a few weeks ago. I’m still holding out hope, but not much. 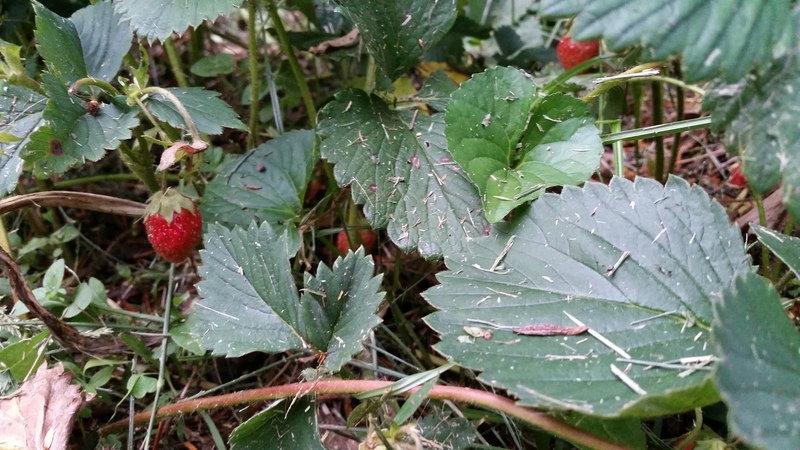 Oh, and I almost forgot: I’ve managed to get a few strawberries this year from a secondary garden. Most of them are smaller than what you’ll find in the grocery store, but they are so amazingly good! I can’t find enough adjectives to describe how mouthwateringly fresh they are. So that’s what’s happening in the garden so far this year. Things aren’t perfect (like diabetes, gardening rarely is), but there’s still a lot to look forward to. How ‘bout your summer? What are you up to, and what are you looking forward to? 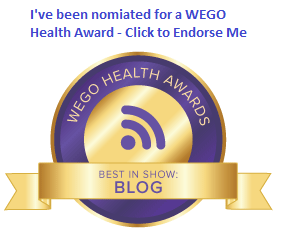 I don’t generally go off topic and talk about a non-diabetes issue here. But I don’t have anything else pressing at the moment, and this is all happening in my city, so why not? And if you happen to draw diabetes parallels to my thoughts, so be it. I live in Baltimore, a city of around 650,000 people, with another million or so living in the surrounding counties. Give or take a mil, as Lauren Bacall said in How to Marry a Millionaire. As just about everyone in the developing world knows now, there was some serious destruction of property and also some looting in the city on Monday afternoon, leading into Monday night. Quick note: I actually live a little over a mile outside of the city line. I work in the city (downtown) on my regular job throughout the week. If you’re wondering, me and my family are safe, and other than leaving work early Monday, and working from home Tuesday, we are unaffected by this event. Like everyone else watching this unfold in front of their television, I was shocked and dismayed by what I saw Monday. I’m not going to try to break down what happened and why, but I will share a few thoughts here today. A lot of this comes from my own personal experiences after living here for over 20 years. First of all: Baltimore is a rich, culturally diverse city that is, by and large, very friendly. I felt welcomed here from the very first day I arrived, and it’s probably one of the biggest reasons we’ve stayed here as long as we have. And I practice what I preach… I am happy to say that I actually do have friends of every race, color, religion, gender, national origin, age, disability, sexual orientation, and gender identity in my life here (Sorry if that sounds a little wordy– I had to go through those one at a time to double-check whether what I was saying was true). This includes those living in the Mondawmin and Penn-North areas where most of the rock-throwing and looting occurred Monday. It’s not like I drive through those areas every day; I don’t. But I have, more than once. And the train I take to work goes right through the middle of those areas, and the people boarding the train at Mondawmin or Penn-North aren’t fundamentally different from anyone else. But… and it’s a big but… There is truth in the notion that there are two Baltimores. The wealthy, elite, almost entirely white, privileged Baltimore that never even speaks to someone from those areas, let alone visits those areas to see how they can help. And the impoverished, struggling to pay the bills, kids pressured to join gangs or face beatings (or worse), living in a food desert families in East and West Baltimore. That second group is the one that has seen a huge rise in their numbers jailed in the last ten years, beaten by police, killed by one another in the struggle to survive or get ahead. Ninety percent of elementary school children in this area receive federal assistance for school breakfasts and lunches. Because Baltimore is a city of neighborhoods, and people often tend to stay in their neighborhood, many of these people live their entire lives without even seeing the beautiful inner harbor area downtown that tourists frequent so much. As a result, they form ideas and opinions based solely on what they see every day, in their own neighborhoods. Yet, when you speak to them, their hopes and dreams are the same: A roof over their heads, food on the table, a few dollars in the bank, enough safety to enjoy them all. Baltimore isn’t as segregated as some other cities I’ve seen. But as you drive around, and you encounter different people on a daily basis, the class distinctions between neighborhoods (and people’s perceptions about those neighborhoods) are very clearly defined. So when you’re a kid who grows up in one of those, let’s say it, underprivileged neighborhoods all your life, you rarely see a glimmer of hope, you constantly encounter judgement from others based on nothing more than where you live (like you had anything to do with it)… you see people you know, or who look like you, being treated unfairly at best, and injured or killed at worst, in your own neighborhood and throughout the country… once your despair reaches a certain point, you figure you’ve got nothing to lose anyway, and you’re going to give in to the mob mentality and act out. I am not surprised in the least that this sort of incident occurred. I am saddened by the fact that it happened in the city I call home. The biggest thing in the immediate future is the police report due on Friday. This will (hopefully) detail exactly what happened to Freddie Gray after he was arrested, including what happened in that police van that made four additional stops before he made it to the hospital. This much is clear: the report must be transparent, and hold accountable anyone who may have been negligent or complicit in his death while in custody. If that report exonerates all involved, don’t be surprised if there is a repeat of Monday’s lawlessness. Going forward, it’s important that Baltimore’s civic leaders restore accountability at all levels within the city’s police force. If citizens don’t trust the people hired to protect them, they won’t have a problem acting in an untrustworthy manner themselves. And the idea that there are two Baltimores? This really needs to be addressed. I don’t have any great ideas. I just know that when there is one group of people who has it better than another, and the group that doesn’t have it better is aware of the divide that exists, frustration and resentment will build until it can’t be contained anymore. That’s a completely avoidable outcome, without making anyone really suffer. In fact, giving people the help they need and the voice they deserve, while providing equal justice under the law, makes us all stronger. UPDATE: Despite the fact that I have not found their reporting to be entirely accurate this week, CNN did a nice breakdown of the “Two Baltimores” in this online piece.